Oberheiden, P.C. has significant experience in representing clients in federal grand jury proceedings in all areas, including urine drug testing and sober living home investigations. Throughout our careers, we have handled over 1,000 grand jury subpoenas across the United States. Our defense team consists of former Department of Justice prosecutors and former Assistant United States Attorneys (AUSAs) as well as federal defense attorneys. Oberheiden, P.C. represents several sober living homes and urine drug testing laboratories that are subject to grand jury proceedings for alleged kickback schemes. Our team offers the expertise of former federal prosecutors and experienced defense counsel to advise clients on the proper handling of subpoena requests. Recently, sober living homes and the drug testing laboratories they use have seen a dramatic increase in federal investigations, and, with it, grand jury proceedings. The federal government currently investigates sober living facilities and toxicology laboratories to see whether the drug testing facilities are illegally or illicitly paying kickbacks to the sober living homes to receive their business. If your sober living facility, drug testing lab, or you individually have received a grand jury subpoena, you should request a free and confidential consultation with one of the former Department of Justice prosecutors and experienced defense counsel at Oberheiden, P.C.. We have handled hundreds of grand jury subpoenas throughout our careers and we help our clients minimize the risk of becoming part of a criminal case. Under the U.S. Constitution, federal felonies are charged by an indictment. In order to determine whether probable cause for an indictment exists, the grand jury is authorized to issue subpoenas as part of their investigative powers. Most commonly in the drug testing or sober living sphere, the grand jury is investigating whether the toxicology lab is paying, and the sober living facility receiving, kickbacks to encourage the sober living facility to use that particular lab over another one or to order more tests than are medically necessary. There are two types of federal grand jury subpoenas. Testimonial. The first type of a subpoena orders an individual, typically a witness, to personally appear before the grand jury to provide sworn testimony. If the grand jury is investigating drug testing, they will ask about the relationship between the sober living home, its employees or contractors, and the toxicology lab and its employees or contractors. If possible, the attorneys at Oberheiden, P.C. negotiate for their clients not to provide such testimony: doing so is fraught with danger, inconvenient, and your defense attorney is not allowed to participate in the proceeding. Documents. The second subpoena type requires the recipient of the subpoena to produce certain documents and records within a given deadline. This kind of a subpoena, commonly referred to as subpoena duces tecum, in the context of urine testing investigations, will ask for financial records, marketing materials, emails, photos, videos, employee lists, and other items of interest to the government. A document subpoena is only enforceable if the materials sought are relevant, properly described, and limited to a reasonable period of time. Once the grand jury has obtained the information needed to form an opinion whether probable cause for the commission of a crime exists, the grand jury will either approve the prosecutor’s requested indictment against individuals or companies or issue a so-called “No Bill.” In the case of an indictment, the government will formally notify the target of the indictment of the charges. Because grand juries convene seclusively and absent from the public, many targets are completely unaware of an investigation or potential for criminal charges against them until the indictment issues. Vitally, remember that the grand jury’s decision to indict someone is not the same as a criminal conviction or guilt. The grand jury only decides whether there is probable cause to believe a crime has been committed. Whether or not the indicted party is guilty of a crime is an issue that will be addressed in the criminal proceedings following the indictment. 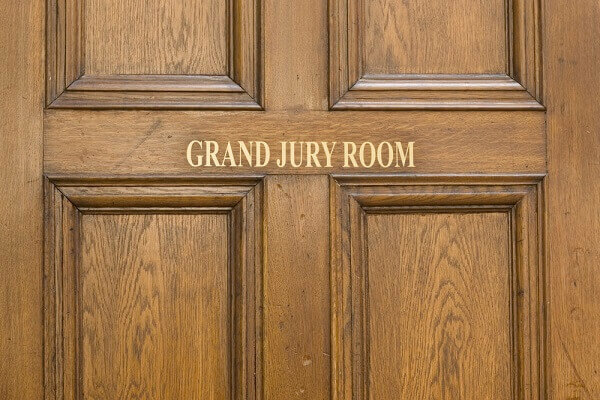 The inherent function of a grand jury, to decide whether someone should be indicted, should encourage anyone subject to such a proceeding to quickly develop a strong plan of defense. We have seen repeatedly that poorly prepared responses or casual testimony will turn potential witnesses into criminal targets. On the other hand, we have seen how potential targets can be downgraded to mere witnesses as a result of effective defense work. Do Not Ignore the Subpoena. Subpoenas are fully enforceable unless properly and timely objected to by counsel, and must never be ignored. Instead of disregarding their legal obligations or putting off dealing with the subpoena, anyone who receives one should quickly consult with experienced lawyers to establish an effective plan of defense. Do Not Converse With Agents. If federal agents approach you or your business, do not get engaged in an informal or formal interview with them. Although the agents will try to tell you otherwise, you have nothing to gain from providing information to them without the presence of your lawyer. In addition, while it is perfectly legal and expected for agents to lie to you, lying to a federal agent or even making a misrepresentation can, in and of itself, lead to federal charges. Provide your name and a form of identification and then insist that you won’t answer any more questions without your attorney present. You have a constitutional right to remain silent, so use it. Note, however, that you cannot prohibit employees or residents from speaking to agents. Like you, they are not, however, required to do so. Do Not Delete Information. The moment you have actual or constructive notice that you are under investigation or subject to a subpoena, you must not destroy, edit, change, or otherwise tamper with documents, communications, records, pictures, videos or any other items that may be relevant to the case. There are a variety of ways, from forensic analysis to comparison with responses from other subpoena recipients, for the government to detect the manipulation of evidence. This is called spoliation of evidence, and it can lead to charges for obstruction of justice: a federal felony. Do Not Volunteer. Receiving a subpoena does not mean that you have to hand over everything in your possession relating to drug testing or your business. While you may believe you have nothing to hide, you should resist any temptation to prove that fact by being overly cooperative. Instead, consult with an experienced attorney who can help you decide which information to produce and which information to withhold. Have your attorney help you gather, organize, filter, and select the proper files in order to determine the appropriate and legal response to the subpoena. Government investigations and grand jury subpoenas can present severe challenges to your sober living or toxicology business and to your freedom. Witnesses in a federal investigation need to make sure that they don’t become entangled in the criminal charges by providing inaccurate or self-incriminating information. Meanwhile, targets of grand jury investigations must rely on experienced defense lawyers that understand how to minimize their exposure. In either scenario, grand jury subpoenas present a good opportunity for skillful attorneys to intervene and to confine and redefine the scope of the investigation. If you operate a sober living facility or urine drug testing laboratory, you should plan any needed defense before a grand jury subpoena ever arrives. Make sure your corporate records are in order, and if they are not, use the time efficiently to re-organize your business. For example, make sure that all compliance policies and training sessions are updated and that all employment and 1099 contracts were reviewed and approved by counsel. Have accountants review your financials and approve your tax filings. Have your lawyers particularly review any contracts between drug testing labs and sober living houses. Hiding, changing, secreting, or destroying records can lead to criminal prosecution. Businesses that are subject to a grand jury subpoena should immediately send out a document preservation notice telling all staff, officers, and owners of the company to save and maintain all communications and records pertinent to the subpoena requests. In our experience, such a voluntary preservation effort will go a long way with prosecutors and may positively impact the resolution of the case. As soon as you receive a grand jury subpoena, your attorney should contact the prosecutor in charge to discuss the subpoena, negotiate an extension of time, and attempt to narrow down any document requests. While your attorneys begin communicating with the government, you need to begin gathering records and documents. Although there are limits as to how much information the government can ask for and how far back in time the subpoena can go, many subpoena responses will still take several weeks to be completed. Once all documents are collected your attorney will carefully go through the files and decide which documents to produce and which ones can be legally withheld from the government. If you have received a grand jury subpoena in connection with a sober living facility or urine drug testing laboratory, contact us today. Call us and request to speak with one of the experienced attorneys of Oberheiden, P.C.. Initial consultations are free and confidential. The Oberheiden, P.C. track record of successful health care defense case outcomes is stellar. Our attorneys combine a profound understanding of the health care industry with strong negotiation to bring about impeccable outcomes. For example, our attorneys frequently avoid criminal charges against our clients by pursuing a vigorous, proactive negotiation approach with the government. Similarly, we are often able to convince the government that the Anti-Kickback Statute does not apply to our clients due to one of its numerous exceptions. We are happy to share more examples. Anti-Kickback Investigation Against A Toxicology Laboratory. Our Client Was Contacted by the Department of Health and Human Services and the Office of Inspector General as Part of a Federal Anti-Kickback Investigation. Our Attorneys Carefully Advised the Client and Its Officers and Directors and Navigated the Client Through the Complexity of Applicable Health Care and Criminal Laws. Our Attorneys Convinced Federal Agents and Federal Prosecutors that The Toxicology Laboratory Did Not Violate Any Laws and We Were Able to Persuade the Government to Conclude the Fraud Investigation with No Civil and No Criminal Liability for Our Client and Any of Its Principals, Directors, Employees, and Otherwise Affiliated Individuals. Anti-Kickback Investigation Against A Health Care Marketer. The Federal Government Was Prepared to Bring Criminal Charges Against Our Client for Alleged Violations of the Anti-Kickback Statute. Our Attorneys Decided it to Be Best to Open a Dialogue With Federal Prosecutors to Provide Factual Clarification and to Negotiate the Applicability of Any Fraud and Abuse Statute. Ultimately, We Were Able to Get Our Client Out of a Delicate Situation and the Case Ended with No Civil and No Criminal Liability for Our Client. Anti-Kickback Investigation Against A Health Care Business Owned By One Individual. The Federal Government Was Prepared to Bring Criminal Charges Against Our Client for Alleged Violations of the Anti-Kickback Statute. Our Attorneys Pursued a Proactive Approach with the Lead Assistant United States Attorney (AUSA) With the Goal to Present Factual Explanations and Legal Arguments As to Why Our Client Was Not Involved in the Alleged Conduct. We Met with the Prosecutors on Several Occasions and Our Health Care Law Knowledge Allowed Us to Persuade the Government to Conclude the Fraud Investigation with No Civil and No Criminal Liability for Our Client and Any of Its Principals, Directors, Employees, and Otherwise Affiliated Individuals. Anti-Kickback Investigation Against Our Client, A Health Care Marketing Company. The United States Was Planning to Charge Our Client with Various Counts of Health Care Fraud, Including Violations of the Anti-Kickback Statute. We Took on the Case From Another Law Firm and Had to Undo What We Considered Strategic Mistakes. Our Attorneys Formed a Team With Our Client, Listened to Our Client’s Side of the Story, and Then Reached Out to the Federal Bureau of Investigation and the U.S. Attorney’s Office. Long Story Short, We Avoided Criminal Charges By Pointing Out that Our Client Was Simply the Wrong Guy. The Case Ended With No Civil and No Criminal Liability for Our Client and Any of Its Principals, Directors, Employees, and Otherwise Affiliated Individuals. Grand Jury Investigation Against Our Client, a Health Care Entrepreneur. Our Attorneys Were Hired to Represent a Savvy Health Care Business Owner Who Was Served a Federal Grand Jury Subpoena. After Conducting a Factual and Legal Analysis We Reached Out to the Prosecutors To Explore Our Client’s Best Options. After a Series of Discussions and Meetings with the Government, Our Attorneys Convinced the Prosecutors that Our Client Did Not Have the Alleged Involvement. Our Attorneys Were Able to Resolve the Matter With No Civil and No Criminal Liability for Our Client. If you have received a government subpoena, contact us today. Speak to the experienced attorneys of Oberheiden, P.C. and request a free and confidential consultation to assess your case.